1969, Richard Ellis. Wilshire Boulevard at 26th Street, Santa Monica. 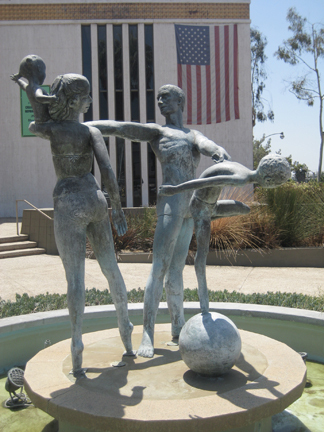 There is a large bronze fountain sculpture in front of what once was a Home Savings and Loan bank. 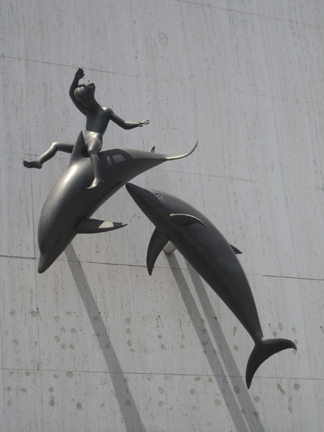 There is also smaller bronze sculpture on the back wall of the bank building.